- Excellent quality raw material. According to the desires and expectations of our customers, we are into presenting an extensive range of Industrial Blower. 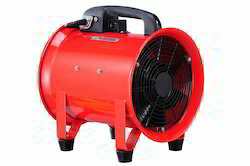 This Industrial Blower is highly demanded by customers for their premium quality and accurate dimensions. Also, all the functions are perfectly perform by this Industrial Blower with effective results. We are prominent manufacturer Supplier of "Rice Mill Blower", our product is of good quality which fullfill all our customer need. So as to furnish the ever-growing desires of our patrons, we are engrossed in delivering a comprehensive variety of Industrial Fan Blower. - Different types id fan and FD fan are available as per clients requirement. - These fans and blowers are highly efficient and energy saver. The Roots TRI-NADO™ TM Truck-Mount, Tri-Lobe Vacuum Blowers have been redesigned to incorporate the latest technology for reduced noise and vibration. We sell Centrifugal Induced and Forced Draught Fans. The Blower Systems offered by us are procured from our renowned vendor base that use only superior quality raw material. Furthermore, these systems are in compliance with the international quality standards and can be availed from us at cost-effective prices as per the requirements of the global clients. We are engaged in manufacturing and supplying High Performance Blowers that are effective in performance and compatible in operation. 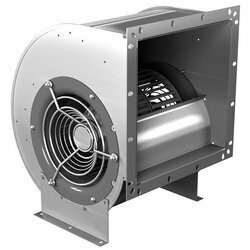 These blowers are perfectly appropriate for supplying air for the combustion as well as atomization of oil and gases and have multi-uses such as agitations of liquids, drying, cupolas, hot air circulation, cooling, exhausting and pneumatic conveying.